Telephone: +98 21 8834 5269. Arguably Tehran's key sight, Golestan was the royal home of the Qajar dynasty. The palace complex within the old city walls dates back to the Safavid dynasty, right at the beginning of Islamic Persia, but it took on its current shape largely in the 19th century with a blend of traditional Islamic architecture and Western influences. Esfahan's breath-taking centrepiece is one of the largest public squares in the world, fringed by a glittering array of blue-mosaic mosques and palaces. Wander the gardens, gawp at the architecture and take time to absorb the atmosphere of this UNESCO-listed marvel. From ancient Persia to the 19th-century Qajar dynasty, this country has been subject to many extravagant reigns. Tehran's National Jewels Museum showcases some of the most opulent regalia you're likely to encounter anywhere in the world, including an ornamental world globe made from more than 50,000 different precious stones. The bridges that cross Esfahan's Zayandeh River wouldn't look out of place in a book of fairytales, with many of them dating back to the golden era of the 1600s. The 33-arched Si-o-Seh Bridge is unmissable, while the Khaju Bridge, which is split over two levels, is similarly majestic. Initially founded as a military outpost and subsequently established as a key trading post for those passing to and from India, Kerman has some interesting museums, a number of imposing mosques and – predictably – a gloriously hugger-mugger bazaar. It hardly needs to be said, but there is literally no better place in the world to go shopping for Persian rugs, and throughout the city bazaars you'll find no shortage of different vendors. It's best to throw yourself into the full experience – take tea, choose a favourite and barter with a smile. The name may make you want to laugh and cry at the same time, but this unusual museum is important for being the site of the former US Embassy in Tehran, where diplomats were once held hostage for over a year as depicted in the hit 2012 film Argo. Today the complex is perhaps best known for the sobering anti-Western murals daubed on its walls. You may never have heard of skiing in Iran, but it's increasingly a big deal here. There are four downhill areas near Tehran alone, and costs are generally far lower than in Europe. The season in the Alborz Mountains lasts roughly from November until late March. Hubbly-bubbly, shisha, hookah, narghile: call it what you like, the omnipresent water-pipes still form an important part of local culture. It might not be overly healthy, but ordering a pipe and watching the world go by is a quintessential Iranian experience. Meymand is a troglodyte settlement carved into a range of hills near the south coast. It's estimated that people have inhabited the area for more than 3,000 years, and to this day, residents still live in natural and manmade caves. Step back in time to 15th-century Persia by visiting Tabriz with its covered Qaisariyeh Bazaar and striking Kabud (Blue) Mosque, which was first built in 1465 before being destroyed by an earthquake – it has since been faithfully restored. One of Iran's largest cities, it is amongst the country's most important industrial centres. Get up close to virgin coral and colourful marine life in the waters off Qeshm Island in the south. Nearby Kish Island is another good option for scuba-diving enthusiasts – the diving school offers a range of PADI courses. The legendary Tehran derby between Esteghlal and Persepolis is the most fiercely contested football match in the Middle East. It's a day when the entire country splits its allegiance between red and blue. Pick a side and then join more than 90,000 Iranians for a day of singing, sporting prowess and emotion. Visit the miniscule oasis village of Garmeh, surrounded by date palms and centred around a small spring. Don't expect any fancy hotels – this is all about welcoming locals and desert-village life, and as a chance to experience the profound quiet of the desert, it's second to none. Chances are high that as you make your way around the country, you'll be invited to locals' homes for tea on a fairly regular basis – Iranians are a very hospitable bunch. Forget any natural reserve and say yes, as it may well be the most rewarding thing you do in Iran. One of the country's oldest cities through which Marco Polo is believed to have travelled, Yazd is still characterised by winding lanes, wind towers, earth-sculpted buildings and an evocative atmosphere of ages past. Don't miss the princely Amir Chakhmaq Complex. The City of Roses, as Shiraz is known, is synonymous with poetry, flowers and – somewhat ironically, given the nationwide alcohol ban – wine. It's long been one of the Islamic world's most celebrated cities, and there's still plenty to see, including historic mosques, pretty vineyards and exquisite public gardens. 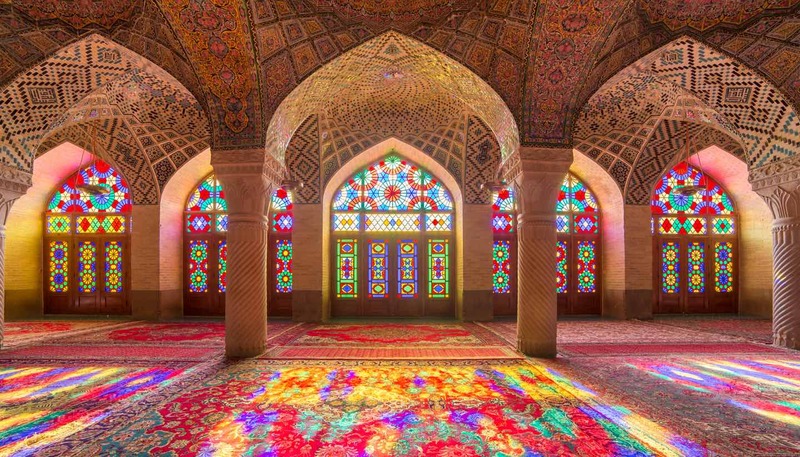 Another of Esfahan's exquisite attractions, the Jameh Mosque (not to be confused with the mosque of the same name in just about every city in the country) is a masterpiece of Islamic design. A UNESCO World Heritage Site, it was started in the 9th century and renewed continually over the centuries, taking a little bit from each phase of mosque design. An oasis city with a laid-back vibe, Kashan experienced lavish 19th-century building works during the illustrious Qajar era, and much of the grandeur still remains. The covered bazaar is atmospheric, and full of locally produced pottery and rugs. Visit in April, when the many rose bushes are in full bloom. For many visitors, Persepolis is the over-riding reason to come to Iran. A short drive from Shiraz, Persepolis was once the ceremonial capital of the Achaemenid Empire, also known as the First Persian Empire, from the 6th to 4th centuries BC. The vast spread of deserted columns, stairways and gateways is a stirring sight.